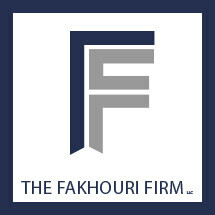 At The Fakhouri Firm, we help people and families recover after a devastating accident or injury. Our law office in Chicago, Illinois, delivers advocacy for victims of motor vehicle collisions involving cars, buses, motorcycles, bicycles, pedestrians and commercial vehicles, as well as school buses. Additionally, we handle cases related to premises liability such as dog bites and animal attacks. Although nothing can undo the pain and suffering caused by traumatic brain and spinal injuries, especially when an accident results in a wrongful death, we work relentlessly to obtain compensation for all current and future recovery needs. This includes the cost of medical treatment and physical therapy, as well as lost wages and projected economic impact. In the event an insurer attempts to deny due coverage on a claim, we take them to court for bad faith. When our law office is not handling personal injury cases, we are representing businesses and corporations in their legal needs. With a deep knowledge of business law in Illinois, we are able to help large and small organizations with a broad spectrum of issues. Our attorneys routinely offer counsel for matters involving contracts, liabilities, partnerships, shareholders and disputes. When advice is not enough to achieve clients’ goals, we bring the case into litigation.